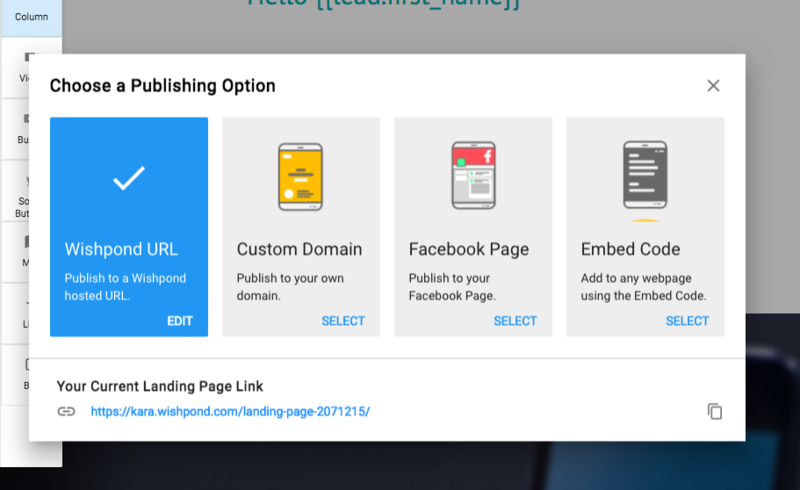 Let me show you how easy it is using Wishpond’s Landing Page builder. 2.Within the text editor we need to navigate to the merge tag symbol. If we choose a different merge tag then first name will get replaced with the relevant merge tag - other than that the liquid tag stays the same. 6. Back to our first name merge tag. Let's publish this Landing Page and see what happens. Click on the Landing Page URL and Whoot Whoot! Our Landing Page recognizes me as a customer and says “Hello Kara” now. We can also enter / convert in our form on our entry page and have all of the lead’s information displayed on our Thank you Page which will make it easier because we do not have to necessarily have to have the information collected already in our data base because remember, we can only populate merge tags on the Entry Page if that data is known in our data base. For this we will simply need to navigate to our Thank You page within the Landing Page editor. On our Thank you page we can now again choose where to place our merge tags. For the purpose of this article I’ll just thank my lead for converting and add their first name to make it more personal. 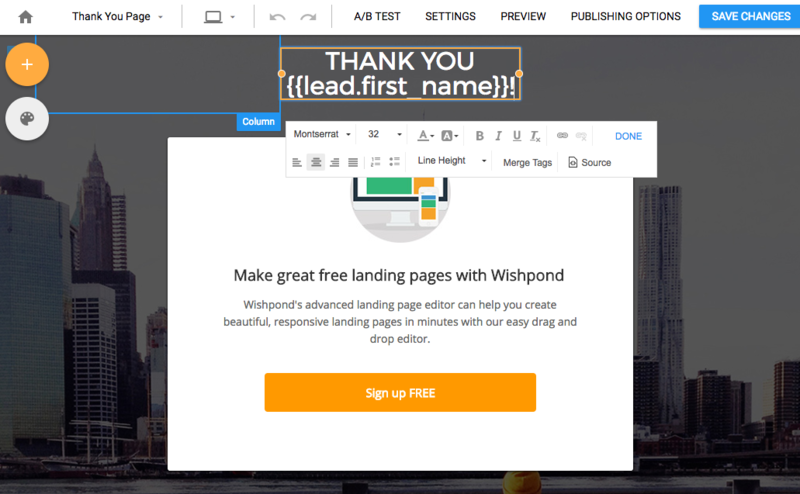 On our Thank you page we will definitely be able to address a lead by its first name since they are converting our form and we collect the information the moment the lead enters. 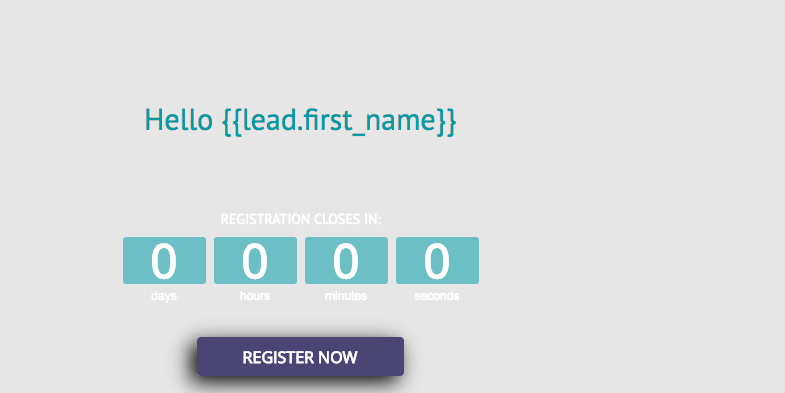 On our entry page it may appear that the first name won’t show. Now, why is that? It’s simply because we do not have that information available quite yet about that visitor. In my case, I am an existing customer in the Wishpond database so my first name has been sitting somewhere in the database and got generated therefore. You can also use super cool filter with liquid tag such as capitalizing the first letter of your first name. And of course there are many more! 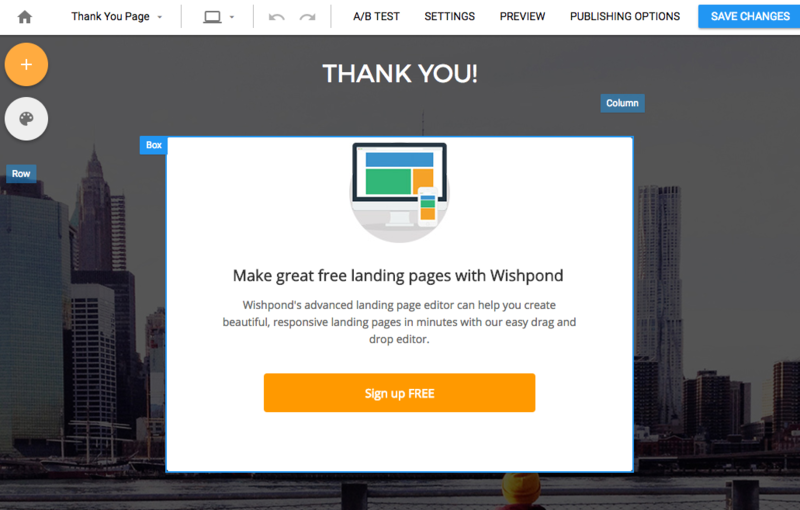 Just email us at support@wishpond.com if you have any questions about how to personalize your Landing Page more effectively!